You are here:	Home FAQ Your account	TEST Email – How to set a new test email address? While creating your email campaign, you can send one or more TEST EMAILS to your own email address. The default email address for your test emails is the one that you used to create your account. 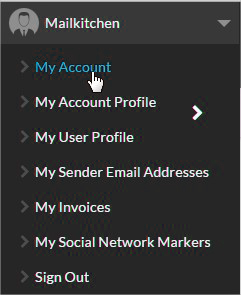 If you want to change the address or add another one, you can do it directly on your MailKitchen account.